Whether you’re a homeowner, you rent a property, or you’re a tenant who lives with someone else, creating an inviting living environment is a top priority. Ideally, you’ll want to create an exciting setup which looks different, to the extent you’re pleased to return to your personal space. Creating a home you can be proud of satisfies your quest for happiness, while creating an enjoyable and memorable place that lingers in the mind of guests. Having decorated the living area in question, you’ll want to add some creative, decorative touches. To help inspire you, this article has collected 15 home decor products which are capable of augmenting any room they sit in. Every product on this list will bring a creative twist to your living space, bringing elements of uniqueness unlike no other. These product ideas will help you create a home which welcomes anyone that walks through the doors, but beware, once you incorporate these products you might never want to leave! This retro vintage lamp is available for a limited time, and is certain to bring a rustic feel to any room. As a fully functional lamp with a lighting area of 10-15 square meters, this original concept for a lamp has the potential to invigorate the environment it sits in, with a touch of nostalgia for those familiar with this traditional water pump design. The authenticity of the lamp is bolstered by the lamp being made of real iron! 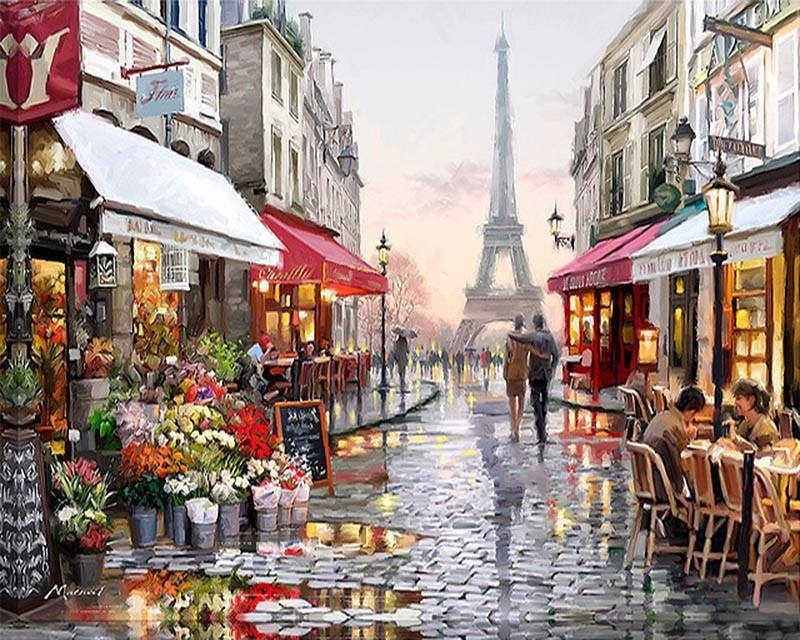 Take a look at these stunning canvases! As you can see from the picture, this breathtaking array of colors brings incredible vibrancy, while serving as an actual map! The canvases come as a set of three 30 x 60cm canvases, which can be positioned separately, but complement each other fantastically when positioned together. 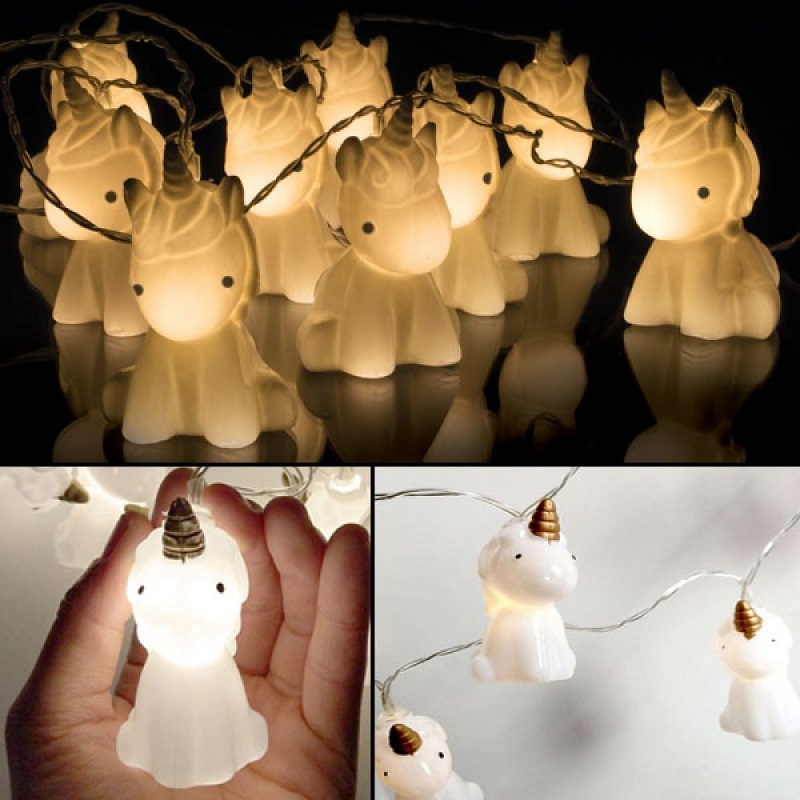 Bring an element of mysticism to any room with these beautiful unicorn string lights. These LED string lights are powered by battery, and can convert your living space into a magical wonderland. They illuminate to create a warm atmosphere, hanging from a cord which is 2m in length. Great for any occasion, these lights run on 2 x AA batteries, which you’ll need to buy separately. This classic collision of new and old is certain to light up any room, literally! 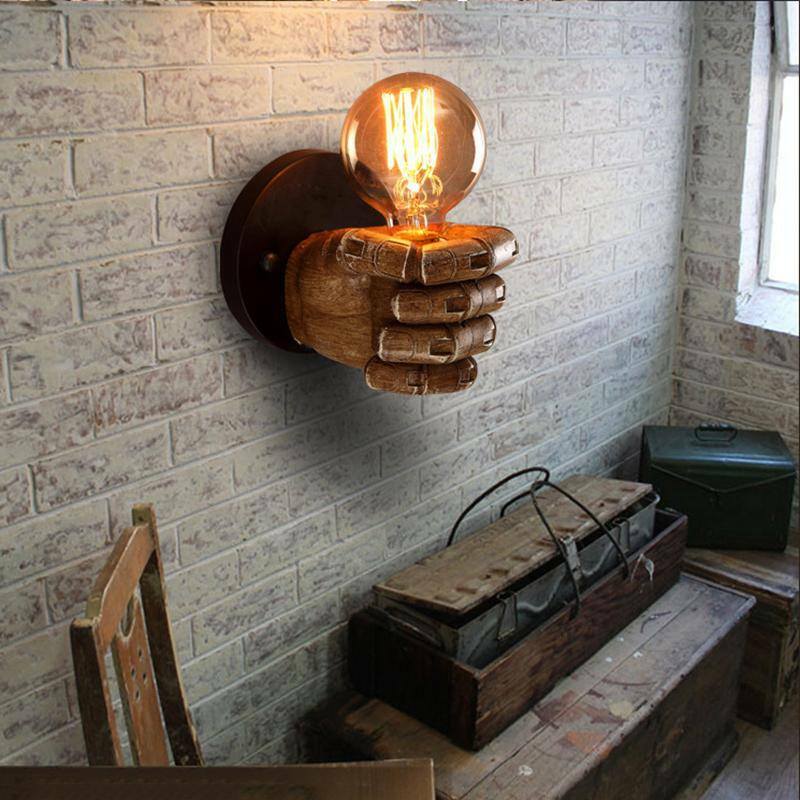 As an industrial vintage wall light, this interesting concept oozes originality. 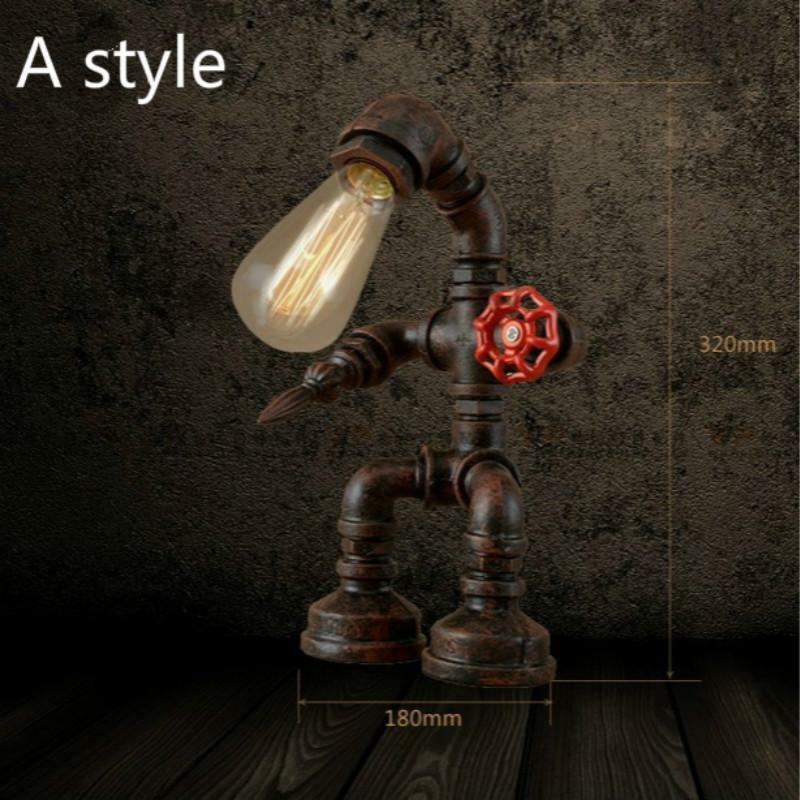 Made of iron and resin, the lamp is fully functional, while serving as a creative art piece. The lamp casts ambient light across a wide area, and at just six inches tall it will fit snugly into any space. 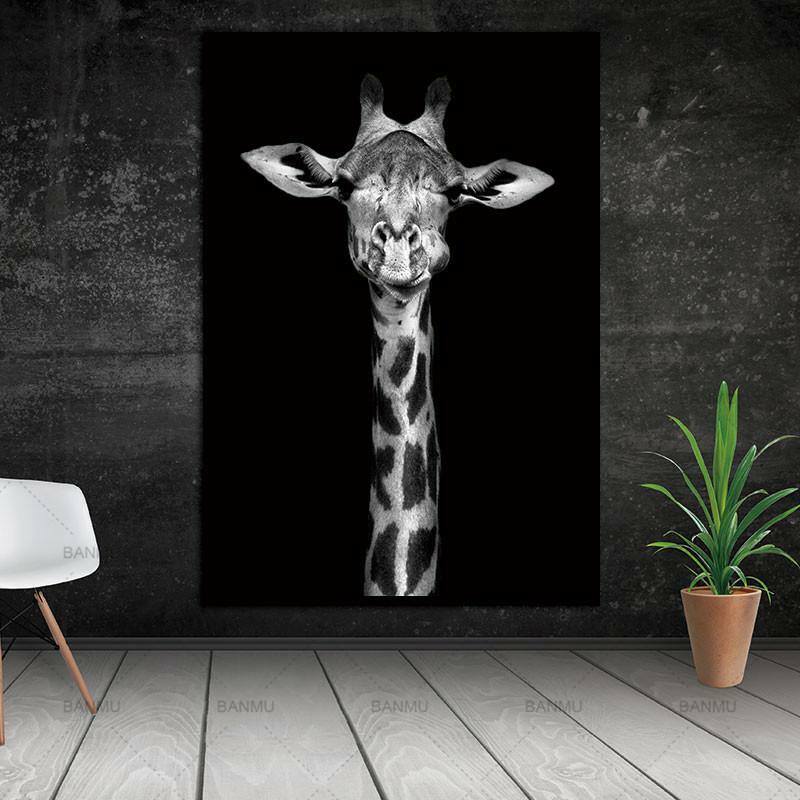 This elegant collection Black & White Animals on canvases is perfect for animal lovers, but regardless of your preference creates a stunning backdrop. There are many different animals to choose from, including giraffes, rhinos, elephants, and zebras. Creating an impressive wow factor, the canvases can be purchased in various sizes, from 20 x 30cm to 60cm x 90cm. Each design is made with premium, high quality material. This canvas monkey is representative of our primal instincts. As he ponders in deep thought, there is a surreal appeal observing a monkey wearing headphones. 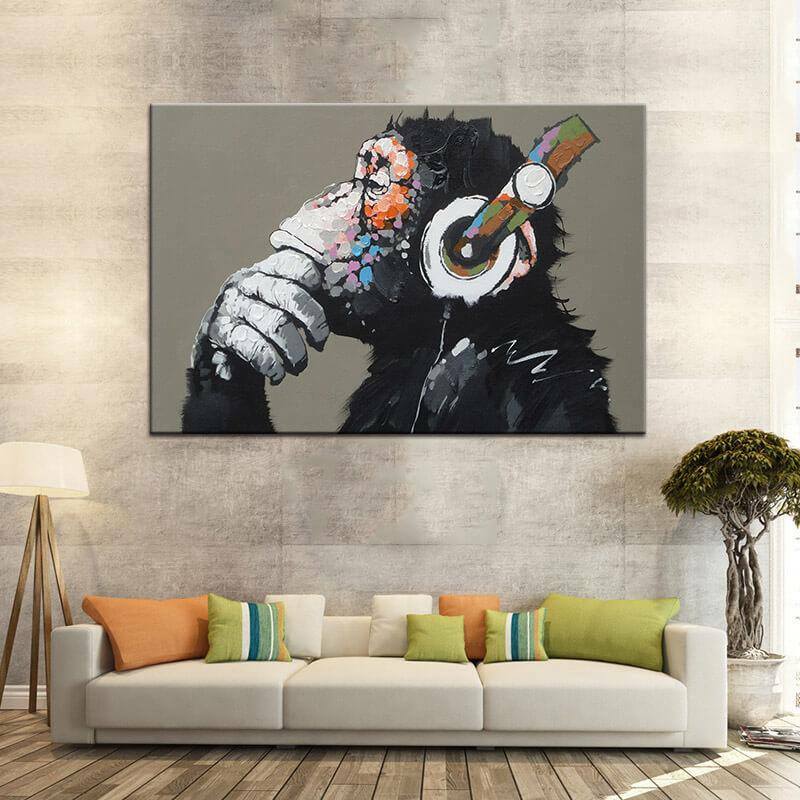 This monkey canvas can be purchased in various sizes, from 40 x 50cm to 80 x 120cm, and can be purchased in both male and female forms. 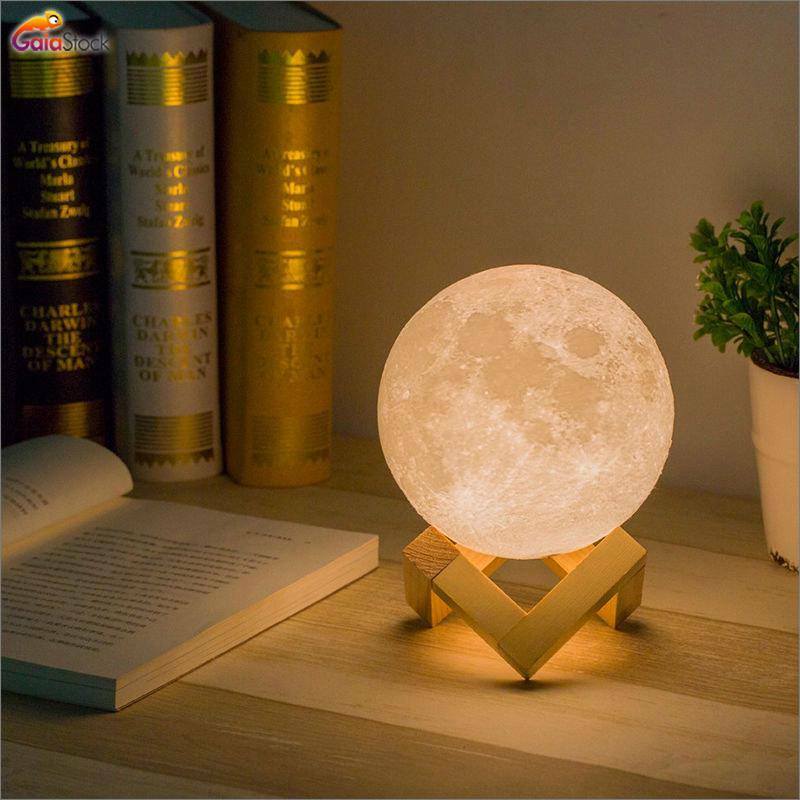 Bring the moon into your room with this delightful lamp. What’s great about this product is it provides an opportunity to reach out and touch the moon, indulging yourself with a photorealistic moonlight. The product utilizes LED lights, which can be adjusted from soft white to yellow, creating the perfect ambiance. You can simply touch the sphere to change color and adjust brightness, while benefiting from a rechargeable battery powered using a USB power cord. 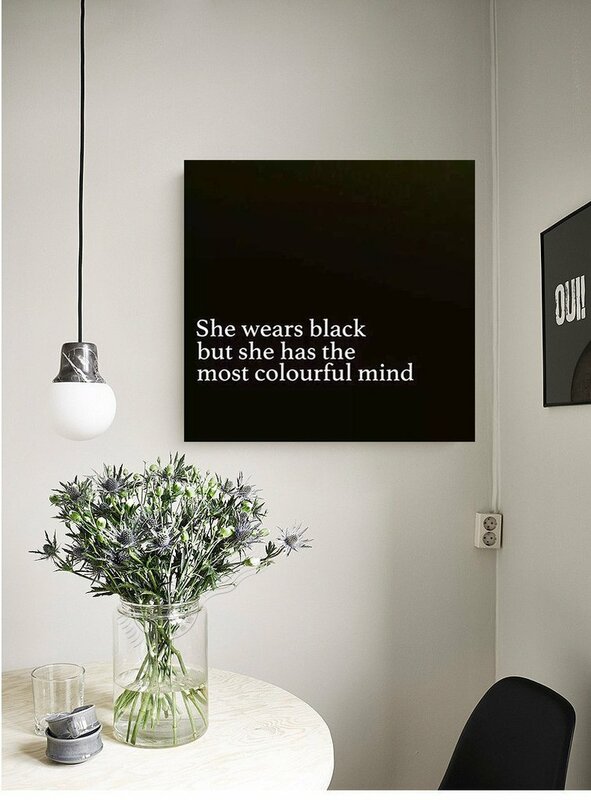 This interesting canvas will bring a touch of style and humor to your room. It is representative of female empowerment, with a subtle message and display. 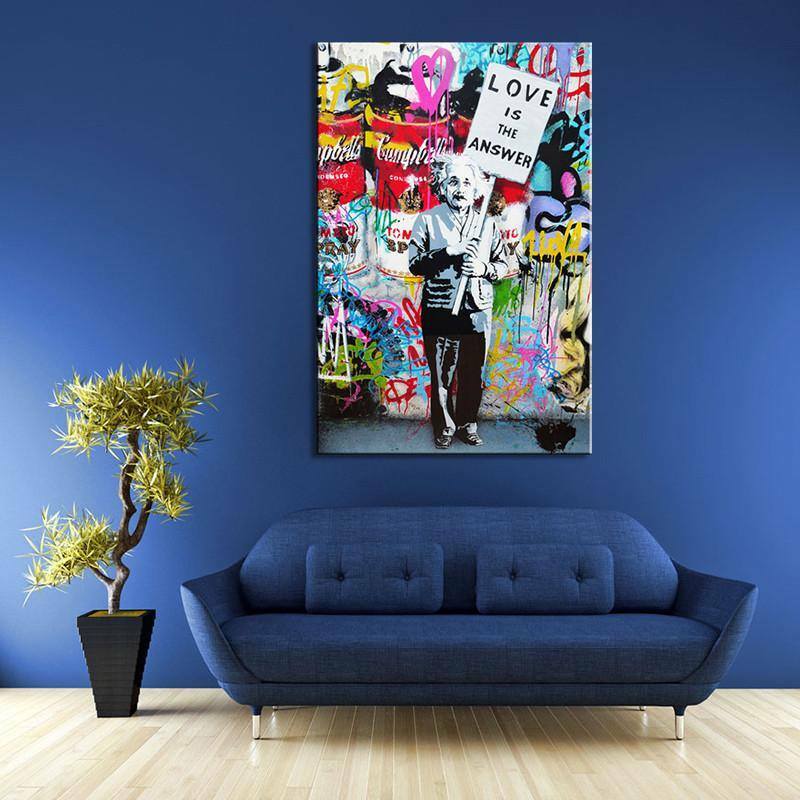 This sleek canvas can be purchased in various sizes, from extra small to extra large. Place the canvas where you’d like the message to resonate and you’ll be ecstatic with the mood created. 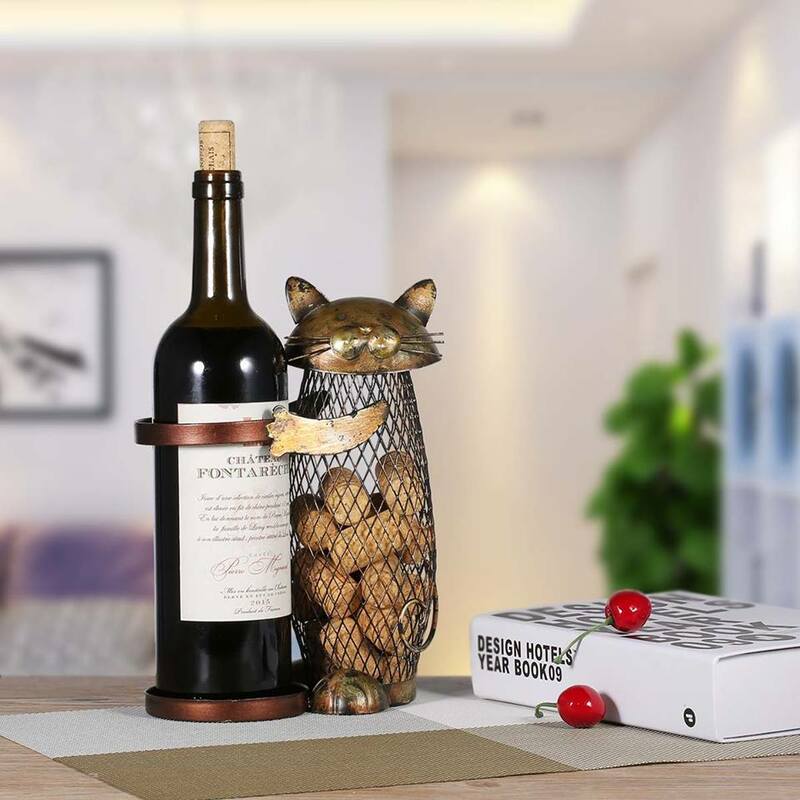 This custom designed product is a must have for anyone who loves wine, or cats! Regardless of your stance on the two, it is a great way to collect corks and support your wine bottle. It is both functional and aesthetically pleasing, comprising high quality materials to bring an exotic touch to your kitchen. The wine holder is made of iron, so is durable, yet stylish. 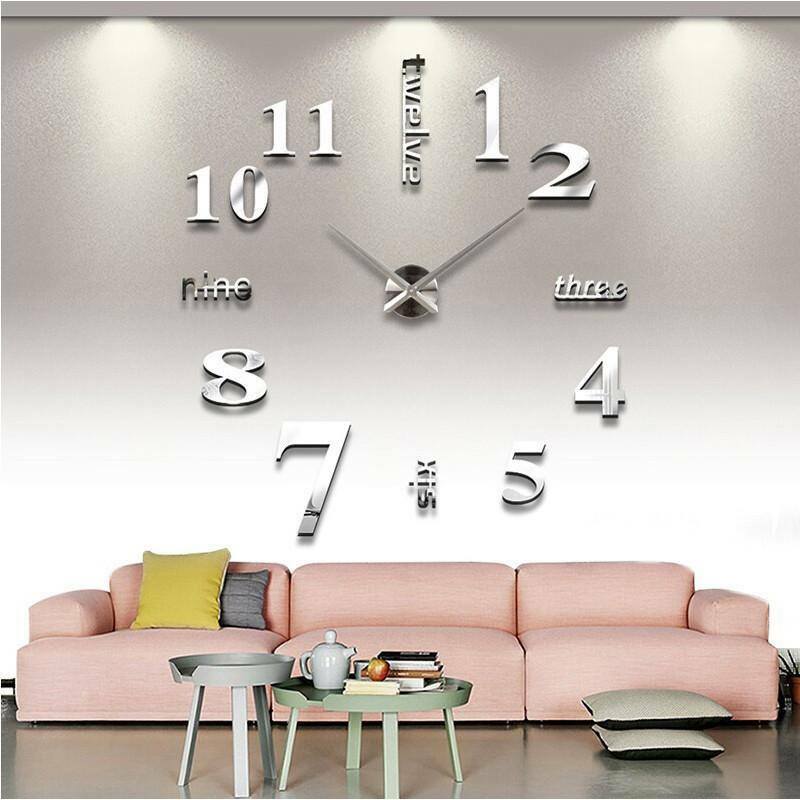 This stunning 3D clock is a fantastic way to fill space on your wall, while serving a practical purpose. This stylish clock is modern, and can be situated wherever you please. It is water resistant and easy to install, with dimensions of 120cm x 120cm. Choose from many colors, including white, gold, blue, red, chocolate, and more. This graffiti art sits on a beautiful canvas, comprising a multitude of colors which creates a breathtaking backdrop. The poster is visually stunning, and is certain to draw the attention of those who lay eyes on it. Pick a size of your choice, and ponder with the positive message within, enjoying splashes of color which create vivid energy. Painting by numbers allows you to create your very own masterpiece by following simple instructions. You’ll achieve a real sense of accomplishment once finished, where your perseverance and patience will have paid off. Upon completion you can hang this beautiful canvas anywhere in your home, presenting an incredible work of art regardless of your experience and talent levels. 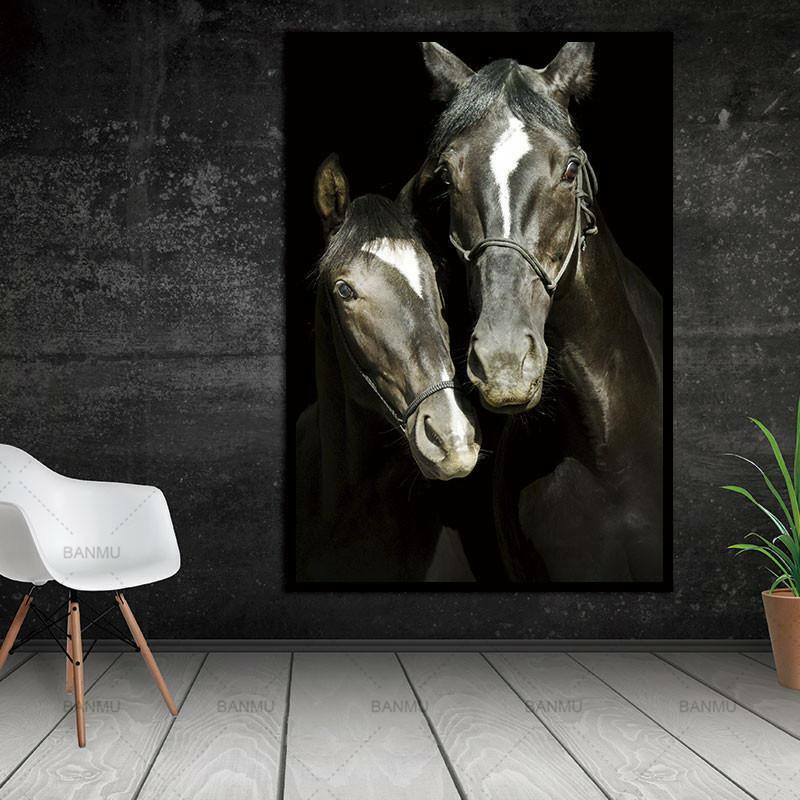 If you’re a horse enthusiast, the horse collection might be for you. There are many beautiful images to choose from, with both framed and unframed options available. The canvases are perfect for the living room, kitchen, or bedroom, and like every canvas in this article it’s made of premium materials. Be certain to scroll through and select a style of your choice, and enjoy one of many sizes depending on practical considerations. This is designed as the best travel map for recording your personal ventures. You can scratch off locations as and when you visit them, highlighting where you’ve visited, and where you’ve yet to explore. This is great for travel enthusiasts, who can wonder at the places they’ve been, and impress others with a stylish and interactive tracking method. 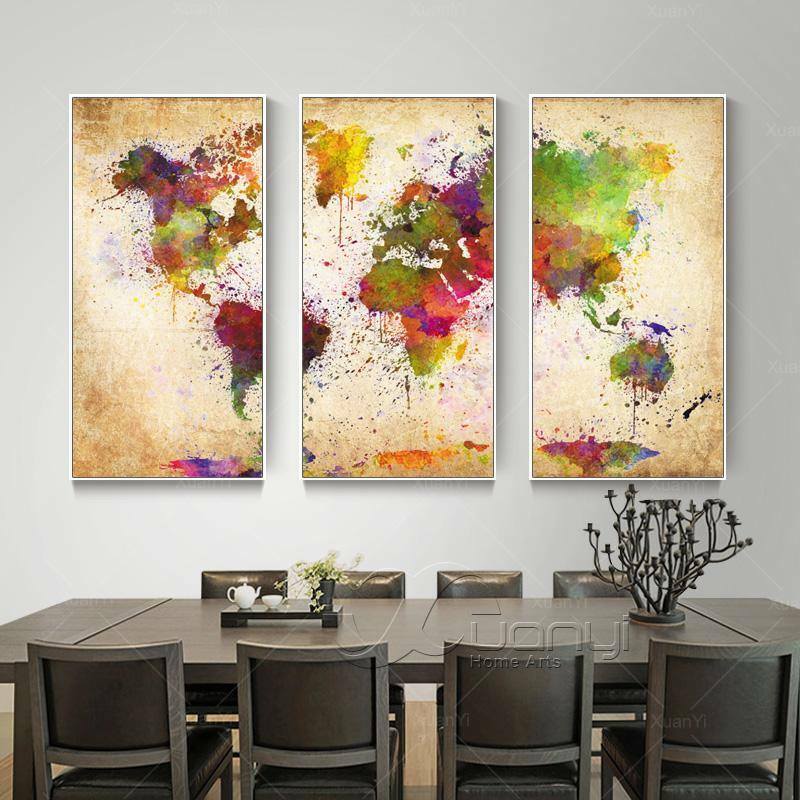 You can either hang the map on your wall, or lay it on your table. The deluxe map comprises copper foil with a matte finish, revealing wonderful colors underneath. 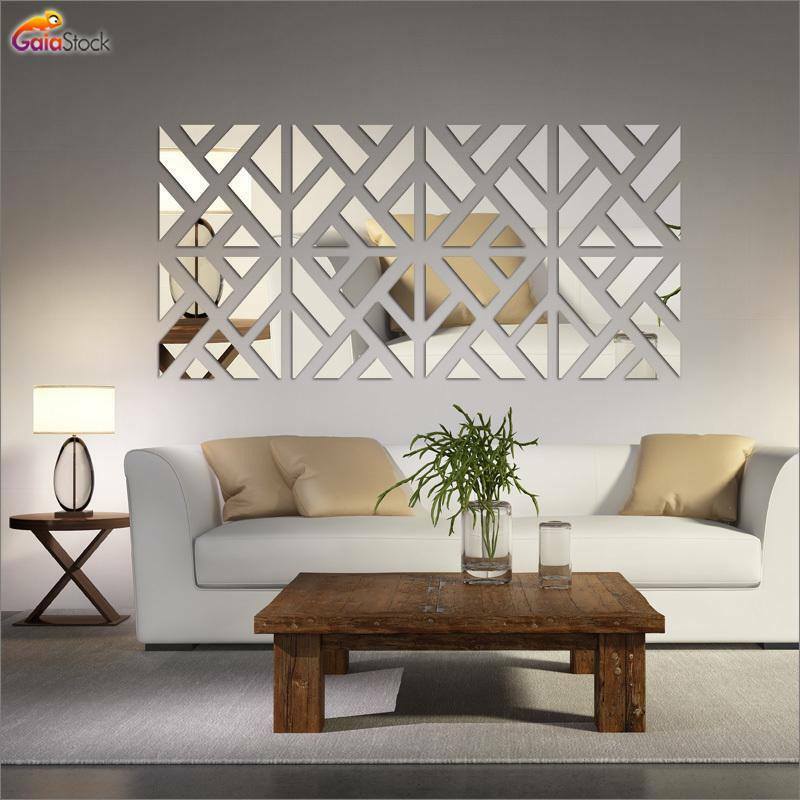 This wall decoration is a great addition to any room, bringing a touch of class while remaining easy to install. The item is sold as a 32 piece acrylic set which can be arranged according to your choice. There are two of each contrasting pattern, which come in a variation of sizes. Not only does this bring a touch of charm and sophistication, but it also serves as a fully functioning mirror. Thank you for reading this article. Hopefully you’ve been inspired and are one step closer to achieving the living environment of your dreams. If you’d like to share any ideas, or simply become part of the conversation, please comment below and kick-start the discussion!